Address: 1522 St. Bernard Ave. The building that now houses the Circle Food Store was first built some time between 1841 and 1860. 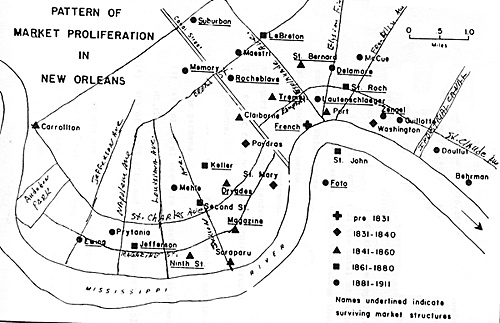 At the time, it was called the St. Bernard Market, and was part of New Orleans’ extensive network of public markets (there were 36 in total). As the market system declined during the 1930s and 40s, the market, like so many others, was sold to private owners. The earliest record for the property in the city’s Real Estate Records Office is an act of sale from 1941. The sale was to Jacob Steinman, who bought half the property, and his five siblings, who each bought the remaining five tenths of the property. In addition to the Market, the Steinman’s also bought a number of adjacent properties, all of which are not either storage or parking. The property was again sold in 1949 to George Wainer, who, along with his wife, son and sister, sold it in 1954 to the 3rd District Homestead Association, a now defunct or renamed local bank. That same day, it was sold to Herbert J Gabriel and Mike Gabriel. Considering the bank sold it at a $20,000 loss, it is possible they acquired it through foreclosure. In 1964, the building was sold by the Gabriels to Circle Food Realty, Inc., in exchange for the controlling share of stock in the company. 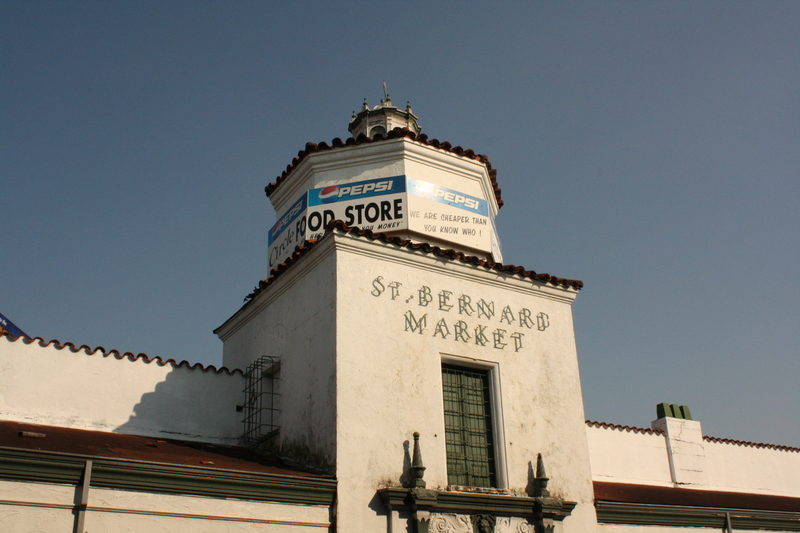 At some point over this period, the old St. Bernard Market was dubbed the Circle Food Store. In 1995, Herbert Gabriel stepped down as the owner of Circle Food Inc., giving the Circle Food Store to the head manager and current owner, Dwayne Boudreaux. 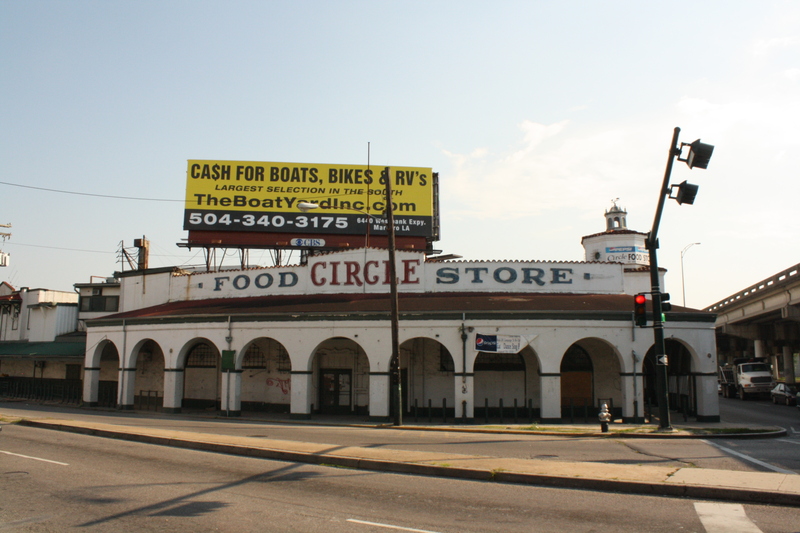 As Mr. Boudreaux testified to the New Orleans City Council in February of 2010 (which I encourage you to watch, here), in its heyday, the Circle Food Store was a crucial component of life in the 7th Ward. According to Mr. Boudreaux and in true New Orleans fashion, it boasted the largest Easter display in the city, moved the highest volume of bell peppers or any store, and had a doctor, a dentist and even a chiropractor. In 2005, however, the failure of the federal levee system brought on by Hurricane Katrina forced the Circle Food Store to close its doors. Since then, Mr. Boudreaux and a coalition of 7th Ward residence, have been working doggedly to reopen the store. Since Mr. Boudreaux has been able to gut the building and remove the storm damaged equipment, preparing the building for renovation. Twice, he has teamed up with The Campaign to Reopen Circle Food, an awareness campaign run out of Neighborhood Housing Service’s 7th Ward neighborhood center, to hold events to gauge public support. The first a parking lot sale in 2007, was a tripartite effort with Ed Blakely and was, according to Mr. Boudreaux, a huge success. The second, a parking lot sale and broader, block party style event, was held in 2009, and drew an even larger crowd. To follow up on these successes, the 7th Ward Neighborhood Center has begun running a more robust awareness campaign, including selling Circle Food merchandise, a blog, and numerous other pending plans. Despite the strong support, a much harder issue has been that of financing, especially public financing. 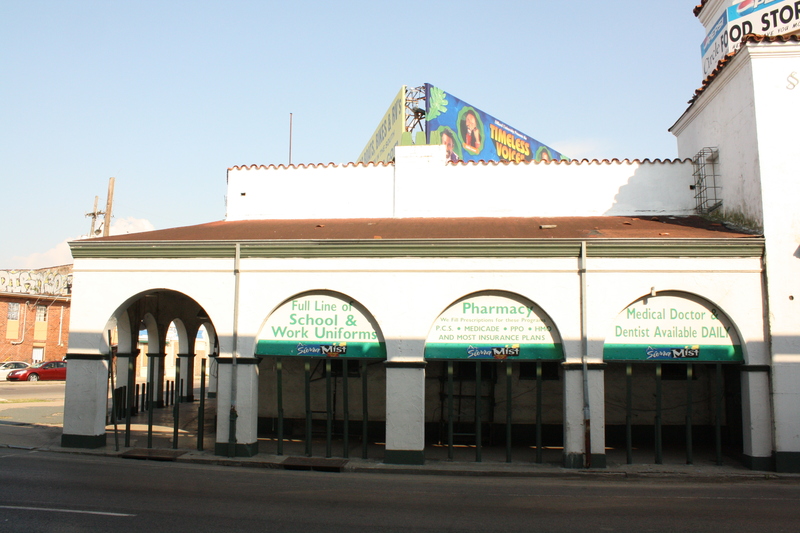 As early as 2007, Mr. Boudreaux reports being contacted by Ed Blakely at the Office of Recovery Management about the possibility of a grant to reopen the store, to the tune of $3-4 Million. According to Mr. Boudreaux, this was the first time he had considered public funding, so he decided to wait and see what would happen before pursuing private financing. “I wanted to see just to what extent the city was able to help me,” he told the blight blog, “but I waited and waited, dealing with different people, different aspects of the city, and it never materialized.” Mr. Boudreaux reports having been told that it would take up to 6 to 8 months when he first met with Blakely, but that when Blakely was replaced, he had to start over. “The next guy came in, and he said 6 to 8 months, then the guy after that said the same thing,” he says. Just before Mr. Boudreax testified before the City Council, he got good news. Though a far cry from Blakely’s $4 Million, through an economic development grant, the city had awarded him about $100,000 to reopen the store. Though he hasn’t yet drawn on the money, he has begun working with Tulane’s School of Architecture and School of Business on blueprints and a business plan. Yet, Mr. Boudreaux admits that he is still not sure how he will raise the remaining funds. This was the purpose of his visit to City Hall, to ask the Council for guidance in finding funding. And, while the Council responded enthusiastically to his testimony, the only support they were able to offer was verbal. Address: 2381 St. Claude Ave. 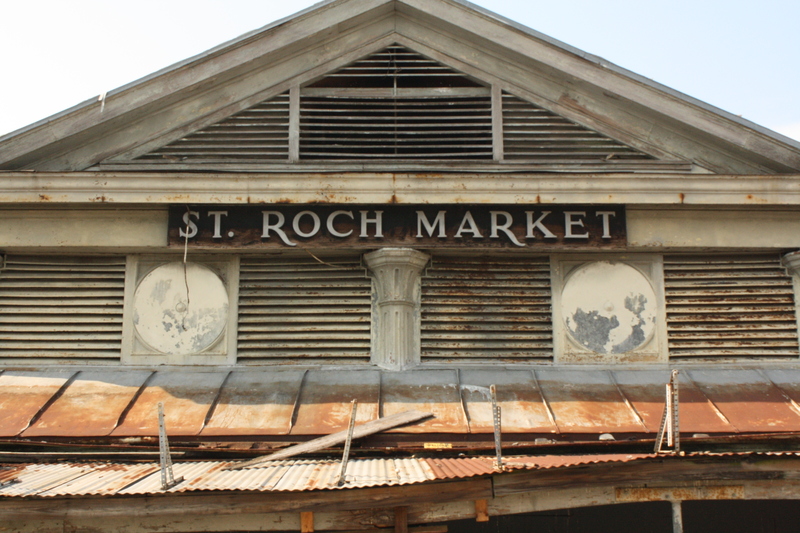 The St. Roch Market was built in 1875 as part of the City of New Orleans’ extensive system of public, open-air markets. By the 1930s, the building was crumbling, and the city slated it for demolition. However, after widespread public outcry and intensive lobbying on the part of Faubourg St. Roch residents, the building was remodeled under the WPA. It was during this period that the market was retrofitted with then-modern accommodations, including refrigeration and plumbing. 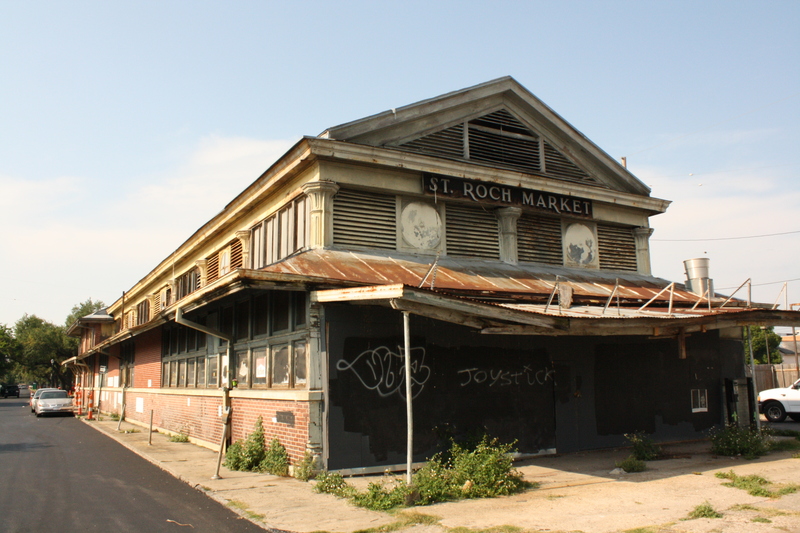 In the period immediately following WWII, the public market system was disbanded, with only the French Market and the St. Roch Market (again, because of resident support) remaining. It was also during this period that the market was fully enclosed, and began to operate under private management. In the years leading up to Katrina, the market was operated by a family of Chinese immigrants, who converted a portion of the market into a restaurant-style eatery. In 2005, Hurricane Katrina flooded the market, causing structural damage and leaving it shuttered. As city property, the onus has been on the Office of Recovery Management to rehabilitate the market. ORM, in turn, has contracted the project management to MWH, a planning firm that has recently been the focus of some controversy regarding the misuse of the city’s revolver fund (read more hereand here). In early 2009, both ORM and MWH, along with the architect in charge of the project, Lee Ledbetter and Associates, held a series of public hearings to discuss their plans for the markets with area residents. The plans, however, are quite gaunt. They call for the redevelop of the site as a “white box,” essentially an empty space, the use of which will be determined by an unidentified third party tenant. The revelation of this led to some controversy at one 2009 public hearing, with a few St. Roch residents expressing concern that its use would be dictated by more affluent residents of the Bywater and Marigny. At one point, a resident even interrupted the MWH representative, saying “if your from St. Roch, raise your hand,” at which only a third of those in attendance did. 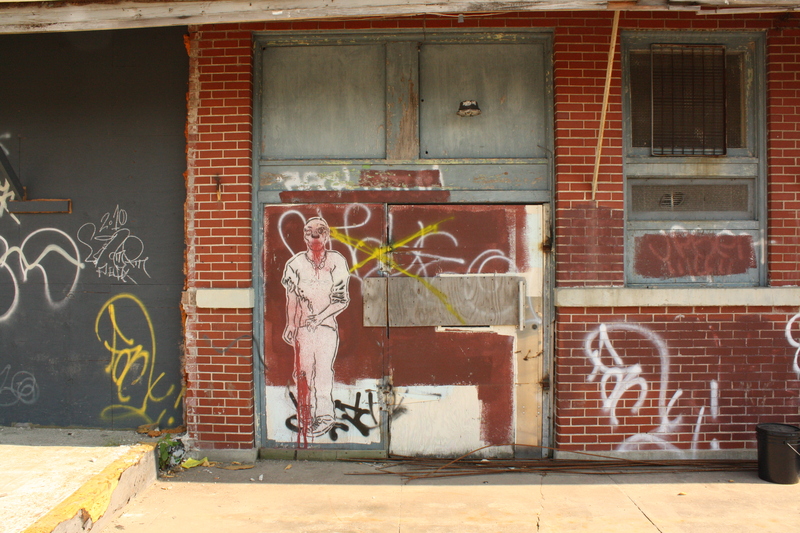 You are currently browsing the The New Orleans Blight Blog blog archives for June, 2010.